Inspiration for this window scheme was taken from Ruinart’s magnificent caves/crayères where their champagne is stored until perfection. The caves are made of white chalk into which light plunges from the natural skylights. When the light comes into contact with the bottles, shadows and refracted light dance on the walls creating magical effects. 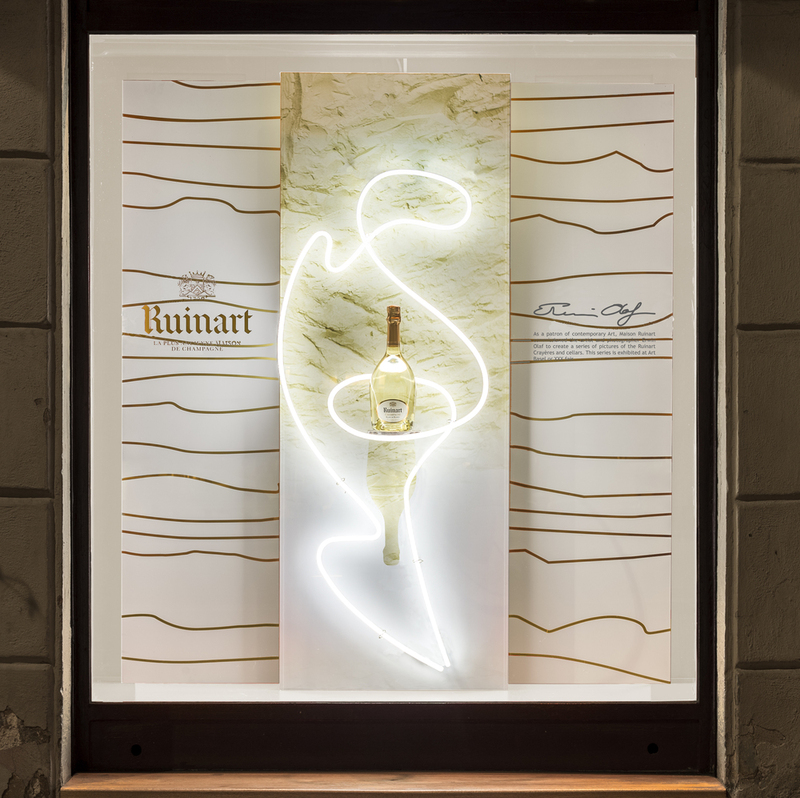 White neon light encircles the product and creates a warm enticing glow from within. The linear rock graphics on the background are reminiscent of the cave walls. 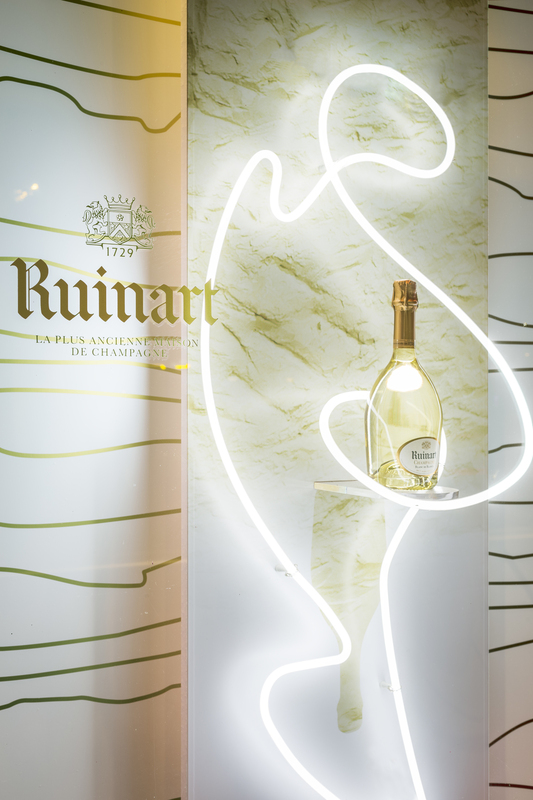 This elegant and minimal concept reflects the grace and sophistication of the Ruinart brand. HWVisual created the concept, design and technical files and guidelines for this window scheme for the worldwide roll out during 2016.